The EIC Model™ interconnects "best practices" in education into an instructional tapestry that improves student achievement by using local natural and community surroundings as a context for learning. The EIC Model™ is a system of educational practices, developed and copyrighted by SEER. 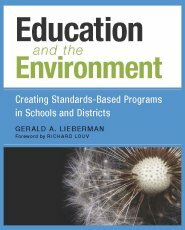 Learn about Dr. Lieberman's newest book, Education and the Environment: Creating Standards-Based Programs for Schools and Districts. Published by Harvard Education Press, more information here. Listen to a brief podcast about this book by clicking here. Hear more about environment-based education and the new book on Go Green Radio. Read more about this topic on ASCD's The Whole Child Blog, or see click here to see the article. 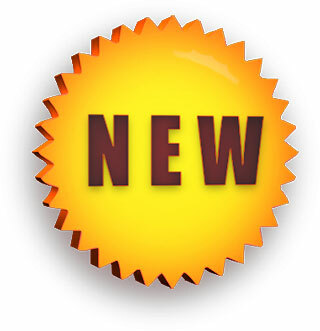 Go here to learn about SEER's work with the Next Generation Science Standards (NGSS) and California's new Science Curriculum Framework. Founded in 1995, with grants from The Pew Charitable Trusts, SEER worked with 16 state departments of education to develop Environment-Based Education (EBE) as a standards-based instructional strategy. The EBE approach focuses on educational results: using the environment to engage students in their education through “real world” learning experiences, with the goals of helping them achieve higher levels of academic success, as well as an understanding of and appreciation for the environment and issues related to sustainability. Following the 1998 publication of Closing the Achievement Gap: Using the Environment as an Integrating Context for Learning, its national study of 40 environment-based schools, SEER has focused its efforts on disseminating and implementing its EIC Model™. Over the past 18 years, SEER has provided professional development and technical support to teachers from over 700 schools across the U.S. interested in implementing environment-based education. SEER works with traditional schools, charter schools, and green schools. All of SEER's work is focused on promoting and supporting EBE. SEER defines EBE as a framework for instruction that focuses on standards-based educational results by using the environment and related issues as a context for instruction. EBE has at its core three major goals: helping students achieve success with academic content standards; developing their understanding of interactions between natural and human social systems; and preparing students to be active members of a civil society with the skills they need to identify and resolve environmental issues. EBE is designed to help students become proficient with state and school district standards, including the Common Core State Standards and Next Generation Science Standards. It is designed to function as an integral part of a school's standards-based academic program and can be used to teach English-language arts, math, science, and history-social science, as well as incorporate other disciplines, such as technology, art, and music. EBE is not a separate topic with its own discrete academic content. Designs and implements program evaluations related to EBE-based school improvement activities. Since its inception, SEER has been recognized for its innovative state and national work on EBE. Principles and the EEI Curriculum.